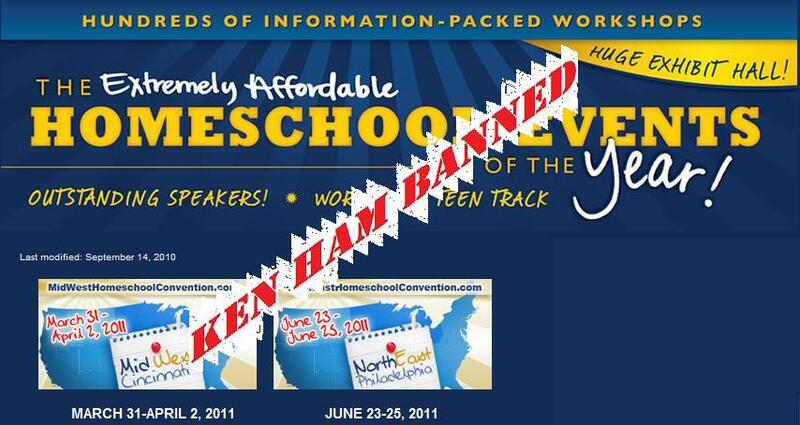 Ken Ham Banned For Naming Compromise at Homeschool Convention! Brother Joel is at it again. He’s written a post concerning Great Homeschool Convention, Inc.’s erroneous decision to ban Ken Ham and Answers in Genesis from ALL future homeschool conventions [wow. that’s… overkill]. Brother Joel, an extraBiblical Creationist, has a habit of taking an occasional potshot at Ken Ham and yours truly. In this case, the title of his blog post is simply libelous: Ken Ham Removed from Homeschool Convention for UnChristian Behavior. I know. I know. It just conjures images of Jimmy Swaggart and Jim and Tammy Faye Baker, right? I’ll comment more on this whole issue over the next few days, but rest assured Ken Ham is guilty of only one thing: speaking the truth in love. It appears that folks will tolerate all manner of sin or compromise except the “sin” of pointing out their sin and compromise. Ken Ham appears to have made the mistake of pointing out a wolf in the sheepfold in the presence of goats trying to make money off said wolf! Like I said, I will comment further on this in a later post. “Wow. If Dr Peter Enns or Dr Jay A Wile had gotten kicked out of the homeschool conferences for criticizing AiG and Ken Ham [which they have], you guys would be up in arms. You have a rather smug double standard. Enns is doing more harm to Christendom than good. His proposed compromise results in the shallow Christianity. 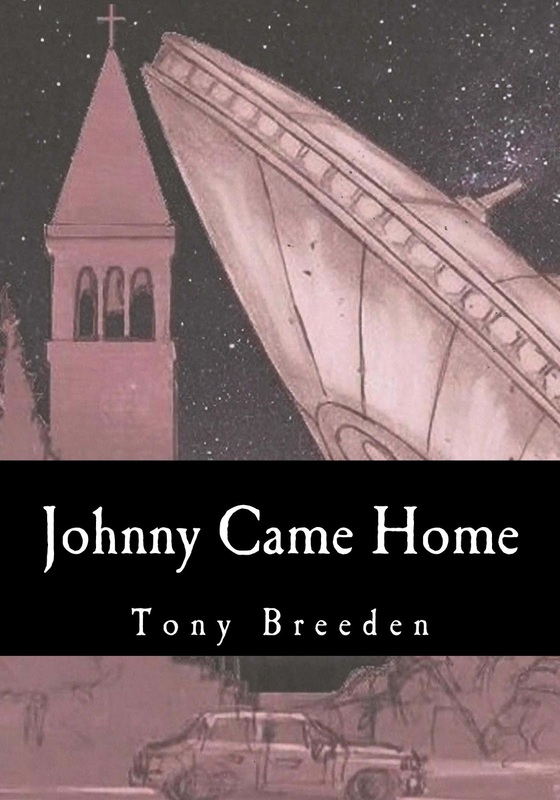 An arbitary, inconsistent worldview based on an uneasy marriage of philosophic naturalism and supernatural revelation. If we must always re-interpret Scripture to suit the latest naturalism-based claims, then Scripture isn’t our ultimate authority – man is. This results in religion ala carte. And overt mockery of anyone who does believe their Bibles. Do you honestly think those who compromise Christianity with millions of years and evolution are doing the Church a favor? Then look to Europe. Look to England. You are following in their footsteps. They long ago compromised the ultimate authority of God’s revealed Word for the authority of fallible men, to make the Gospel and Christendom more palatable to a scientific age. There’s barely any of them left. Their legacy is rank apostasy and a mass exodus from a church who told them it was OK to doubt their Bibles where it was disputed, but they ought to really believe that same Bible’s message concerning salvation. Again, even though a good part of the Gospel story, from Genesis to Revelation, is myth and superstition and pre-scientific misconception. God was still “omnopotent” enough to leave some of the message ungarbled by the fallible nature of His greatest creation. Think about it. You’re compromising worldview is both inconsistent and arbitrary. You strain at the gnat of a literal, historical Creation Week at the will of an omnipotent, omniscient God you profess to believe in because the wisdom of this age disputes it with their naturalistic interpretation of nature, but swallow the camel of a literal, bodily Resurrection when those same earthly authorities likewise dispute that men rise from the dead. Again, this is undeniably Arbitrary. Think about it. Examine yourselves to see if you really be of the faith. Of course, he ignored my point concerning where this compromise on the plain meaning of Scripture is taking us. Europe was once vibrantly Christian. Yet by the days of Charles Haddon Spurgeon, Christianity was on the “down-grade.” Alarmed by this trend toward liberalism and Bible-doubting [in the guise of legitimate textual criticism], he dared to name churches and ministers who’d compromised and gone on the down-grade. Rather than listening to the heedings of the “Prince of Preachers,” the Baptist Union censured Spurgeon as slanderous and divisive. They felt that peace was to maintained at all costs. And what a terrible cost. Today, Europe is a spiritual wasteland where Christianity is concerned. Heedless of history, modern-day compromisers would lead America down the same path to apostasy and irrelevance. Make no mistake: It is not those who affirm Biblical Creation who cause folks to fall away from the faith – it is those who teach them that they can’t trust what it says to begin with! “Rev Breeden, I was looking up information about Ken Ham’s recent exclusion from a homeschool conference when I found your posting back and forth w/a man (Joel) from Church of Jesus Christ website. (Don’t ask, just where google took me. ) I just felt led to encourage you in your convictions. I saw no need to post to the original site. Those men, based on their comments, are obviously walking in darkness at least w/regard to this issue. As a homeschooling mom, I am always amazed at the number of “Christians” who believe it is perfectly reasonable to pick and choose what they want to believe from God’s Word. As if it’s a buffet! I would no sooner follow a God who was unable to form the world as He stated in His Word (six literal days) then I would follow an idol from a pagan religion. He is either Truth or He isn’t. I believe He is indeed The Truth and we must amend our thinking to match His and not the other way around. Anyway, I will bookmark your site to use as a resource in our studies. Thank you for your stand. “Rev. Breeden – Just read your comments on the ‘churchofjesuschrist.us’ website. Your posts are right on. It’s really sad that people will hold up the word of man over the Word of God. They hold up the word of secular scientists with no Biblical foundation and an anti-God worldview to be the truth. They claim things like ‘the overwhelming majority of the scientific community…’. Well, thankfully, Truth is not determined by a majority. “But I fear, lest by any means, as the serpent bequiled Eve through his subtilty, so your minds should be corrupted from the simplicity that is in Christ.” 2 Cor 11:3Todays attack on Genesis is the same satan’s first deception of man – “Did God really say…?” … did God really say He created the Earth in 6 days?…. And since Jesus is the Word (John 1) an attack on the Word is an attack on our Lord Jesus. I pray those guys come around. We can just point them in the right direction and leave it up to the Holy Spirt. Thanks for your defense of God’s Word – and keep fighting the good fight. Thank God for a faithful remnant who have not yet bowed the knee to the Baal of this age! Thank God for His unfailing Word which is true from the beginning! If we faint not, we shall reap with joy what we’ve sown in sorrow. We must warn all we can of the dangers of the down-grade. Perhaps when the Son of Man returns, He will find faith after all. Let us pray and work while we still can. Previous Post Two Different Creation Accounts in Genesis 1 & 2? Or Two Complementary Accounts? I homeschooled my children from K-12, and never in my wildest dreams did I think that “Christians” would try to take God’s literal creation and ban it from their conferences along with a great speaker of the Word like Ken Ham. I have listened to him for years, and he is very knowledgeable of scripture. The more I investigate this, the more it appears to be motivated by money. Susan Wise Bauer’s publishing company has recently published a book by Dr. Enns. I’ll post more on this after I finish my investigation. I’ve written GHC and asked them to rreveal the identity of the Advisory Board and to be more specific regarding the behavior they banned Mr. Ham over, but they have yet to respond. There is a Facebook petition in support of Ken Ham that anyone can sign. The link is http://www.facebook.com/pages/Ken-Ham-Support-Petition/102184423201292 or simply search Facebook for “Ken Ham Support Petition”. The petition page has links to background material on the controversy. Dear Tony sir, I commented on your other post regarding why The Biblical Creator is the only rational possibility. I fully support Ken Ham and AIG’s stance, anyone truly in the faith needs to stand ON God’s Word, secular notions change w/the winds, but God knows what He meant to say when He inspired His Word.